Lametria (Formally Known As Monet ), an excellent example of a motivated member of the younger generation...single mother, student, singer, and songwriter, she wears these hats simultaneously. Strength and determination has brought her to this place she stands now and despite an equal share of successes and failures, Lametria is a testimony. The testimony that the young generation needs to hear is that having faith and believing in yourself will lead to the fulfillment of all your dreams. Lametria was born in the ""Music City"" of Nashville where the city itself seems to breathe the sound of music and is known worldwide for being the home of some of the world's greatest artists. She was born premature with a birth defect called Esophageal Atresia. Doctors told her parents that she wouldn't be able to talk and that she would be on a feeding tube for the rest of her life and mentally disabled and would have the lifespan of progressing only to the age of twelve. before she was a week old she had three major surgeries and then two more major surgeries after that. By the time she reached three years of age her surgeries were finalized and she began to live life normally. Still overcoming obstacles, it was then noticed by her family that Lametria had a gift. A gift to perform, a passion to sing, and a God given musical ear. God saw fit to intervene and Lametria thrived as she grew up in Clarksville, TN. At the age of three Lametria began singing and humming the songs of Whitney Houston, Mariah Carey, and Tina Turner; she often showcased her singing skills in front of family and friends. Her ultimate stage was standing before church congre?gations belting out old gospel songs that stirred the soul. As a teenager she was a member of an all girl group that performed locally, participating in local events such as ""Make A Difference Day"" and ""The African Festival"".Lametria was also featured on a Clarksville radio segment called ""Women on Weekdays"" which spotlighted influential women in the community. 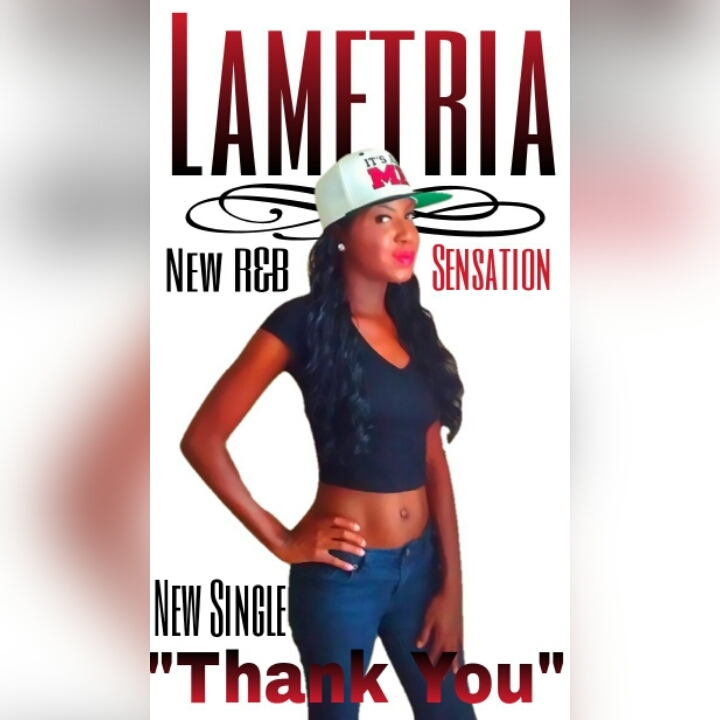 In 2006 Lametria felt the need to venture out as a solo artist and under the guidance of a local producer she began her journey. 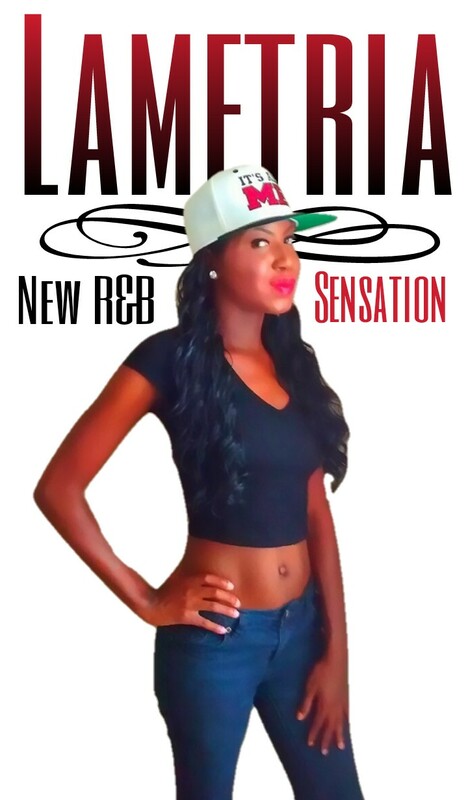 Fast forward to 2013-2?014... Lametria begins to gain the recognition she has worked so hard for over the years. Her single ""Love's Unfair"" captured the attention of Tate Music Group Publishing representatives who offered her a distribution and promotion deal. With her first project due in stores June, Lametria is currently working on new music, spreading her message, and building an identity for herself that sets her apart from other artists. Look for her everywhere..?.she has a sound that brings back the true R & B of the 80's and 90's. "This song was written for those of you whom lost someone...its like a love letter for all those loved ones that are dead and gone." * Your song 'Thank YOu' has just been added to The VIBE station! * Your song 'Thank YOu' has just been added to Hood Tales station! IMP Your song 'Thank YOu' has just been added to Faces station! I will be performing live at Zuri's September 3rd, 2015 at 11pm! In Arlington, TX I will be having a tip jar for those who would like to tip me. I'm so excited and over joyed to tell you all about the great news! On Sunday September 13, 2015 @ 5:30 pm central time. I will be appearing on Woman Of Abundant Wealth Talk Show! Performing my New Single "Thank You"! So, be sure to tune in online at uanetwork.tv or if your in the Dallas area you can watch the show locally on channel 47.2 and if you have verizon has your cable provider you can watch it on channel 27!